New nine opens at Lazy Swan County Club Kingston, N.Y. - After a short, mild winter, golf season is fully underway throughout Ulster County, with everyone from scratch golfers to weekend hackers out enjoying the links. With Ulster&apos;s 12 outstanding public golf courses, golfers rarely have to wait to tee off in Ulster County. And the courses are so diverse - ranging from challenging mountain resort courses to pristine layouts designed by notable golf course architects - that visitors never get bored. "Ulster County is blessed to have a wealth of fantastic golf courses that are enjoyable for golfers of all abilities," said Ulster County Executive Mike Hein. "Golfers will find excellent conditions, affordable rates and, in most instances, little or no waiting. The beauty of our golf courses is something to behold and we welcome golfers to come and enjoy our amazing layouts whether it&apos;s in the spring, summer or fall." This year&apos;s season is marked with a brand-new nine holes that officially opened for play at Lazy Swan Golf and Country Club Village in Saugerties. The par-70, 6,184-yard stretch provides a challenging layout backed by outstanding views of the Catskill Mountains. It looks to add to the wide range of golf opportunities available in the area. "Lazy Swan is an amazing addition to the Ulster County golf landscape," said Rick Remsnyder, Ulster County Tourism Director. "In a short time, Lazy Swan has established itself as a major player in the golf business. By expanding from nine to 18 holes, it will be able to handle golfers from all over the Northeast who loved the original nine-hole layout and have been anxious to enjoy the new 18-hole layout." If golfers are looking for a challenging course with great risk-reward potential, Rondout Golf Club in Accord has plenty of it. For advanced golfers who really want to test their skill, the course features a handful of reachable par-5s and provides a test for any player willing to brave its bunkers and water hazards. There is also Apple Greens Golf Course in Highland, which offers 27 holes cut through an apple orchard. The Fallsview at the Honor&apos;s Haven Resort in Ellenville was designed by world-renowned golf course architect Robert Trent Jones Sr. It has a track record of hosting big-time golf tournaments including the New York State Women&apos;s Amateur Championship, the Cleveland Tour and many events sponsored by the Metropolitan PGA Section. After much public anticipation, Lazy Swan recently completed work on its new nine, which offers a championship-caliber layout that is easily walked. Its signature hole is the par-5 485-yard third, in which golfers tee off from a 70-foot ridge down to the fairway below. The course features cascading and reflection ponds, rock outcroppings, dramatic elevation changes, an alpine garden and beautiful holes with the mountains in the background. "We are very excited to debut the new nine at Lazy Swan this season," said Tony Bacchi, owner of Lazy Swan. "Everyone I&apos;ve talked to who has played the new layout thinks it is amazing." Highlighting the opening of Ulster County&apos;s golf season is the variety of specials at its 12 charming courses. For more information, log onto http://www.ulstercountyalive.com/ or call Ulster County Tourism at 845-340-3568. Ulster County Golf Opening and Special Deals Alapaha Golf Links, Kingston Phone: 845-331-2334 Email: jdurcan18@yahoo.com Specials: Demo Day: April 29; Ladies Clinics: May 21-25 and June 11, 5:30 p.m. to 7 p.m. Apple Greens Golf Course, Highland Phone: 845-883-5500 Website: /wp-admin/www.applegreens.com Specials: Women&apos;s Day on Thursdays; Senior Day (60 and over) on Tuesdays and Thursday ($19 to walk and $33 to ride on both days). Green Acres Golf Club, Kingston Phone: 845-331-2283 Email: duck101963@hvc.rr.com Specials: Seniors (55 and over) $10 for nine holes - Monday-Friday before 1 p.m. Hudson Valley Resort & Spa, Kerhonkson Phone: 845-626-2972 Email: Geoff61@hvc.rr.com Website: http://www.hudsonvalleyresort.com/ Specials: Presently as low as $25 for 18 holes. Mohonk Mountain House, New Paltz Phone: 845-256-2154 Website: http://www.mohonk.com/ Specials: Greens fees for day visitors Monday through Friday are $18 (9 holes) and $25 (18 holes). Twilight rates apply after 4:00 p.m. on weekends and holidays. Season golf membership is $299 (cart required). New Paltz Golf Course, New Paltz Phone: 845-255-8282 Website: http://www.newpaltzgolf.com/ Email: golfprolarry@aol.com Specials: Seniors (55 and over) $19 all day walking ($29 w/cart) - Mondays and Ladies $19 all day walking ($29 w/cart) - Tuesdays. Rondout Golf Club, Accord Phone: 888-894-9455 or 845-626-2513 Website: http://www.rondoutgolfclub.com/ Email: cottikill@aol.com Specials: Register on Rondout Golf Club&apos;s website to participate in course&apos;s eClub and receive a free green fee on your birthday. Valid up to one week prior and one week after your birthday. We regularly offer specials and golf promotions to registered members. All information is held in confidence and will only be used to provide you golf specials and promotions. 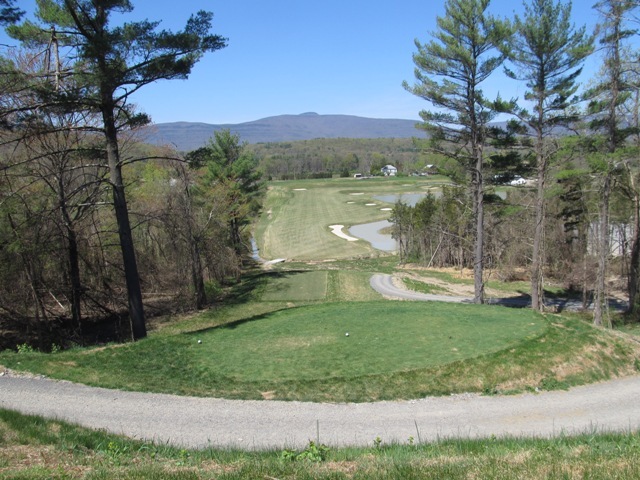 Shawangunk Country Club, Ellenville Phone: 845-647-6090 Specials: Foursome special with TeeTime Pass Discount: One free play (cart included) with three paid any day, anytime (prevailing rate). Stone Dock Golf Course, High Falls Phone: 845-687-7107 Website: http://www.stonedockgolfclub.com/ Specials: Tee off between 8-11 a.m. on Monday, Wednesday, Friday and 9-11 a.m. Tuesday and Thursday ($27 and $29 on weekends). The Fallsview at Honor&apos;s Haven, Ellenville Phone: 845-210-3106 Website: http://www.honorshaven/.com Email: Golfshop@Honorshaven.com Specials: Greens fees $15 for nine holes, including cart; $30 for 18 holes, including cart. $10 for nine holes to walk. $20 for 18 holes to walk. Membership rate: Seniors (60 years and older) $600; Individual $750; Students $320; Family $1,150. Driving range season $150. Carts $5 per nine holes. The Lazy Swan Golf and Country Club Village, Saugerties Phone: 845-247-0075 Website: http://www.thelazyswan.com/ Email: ssimeon@thelazyswan.com Specials: Seniors (60 years and older Mon-Thurs) $25 for 9 holes or $40 for 18 holes; Twilight (after 2 p.m. Monday-Sunday) $45 for 18 holes; Resident (Town of Saugerties-Wednesday only) $25 for 9 holes or $35 for 18 holes. Turtle Creek Golf Course at The Garden, Plattekill Phone: 845-564-3220 Website: http://www.turtlecreekgolf.net/ Email: turtlecreekgolfcourse@gmail.com Specials: Best season deals - Single ($550) and Couple ($800). Buy a TeeTime Golf Pass online and save $5 on the regular price of $50. Photo: A majestic view of the 485-yard, par-5 third hole at the Lazy Swan Golf and Country Club Village in Saugerties.